Librería Donceles, a migrant bookstore, arrived in Anchorage in September and will remain until January 6, 2019 thanks to the Anchorage Museum, through the efforts of its curator Francesca Du Brock. Pablo Helguera founded the project with the idea of creating a place where people meet, share and where everyone is welcome. The Librería Donceles holds titles in Spanish with a huge variety of subjects, from cooking, anthropology, stories for children, art, medicine, law, to books about haunting. Saturdays at 11 a.m. there are readings of stories for children in Spanish and at 12:30 p.m. conversations in Spanish take place. In addition, the library is available to the entire community for meetings, events, classes and talks. For Francesca, this has been a great opportunity to promote a cultural project that is at the same time a living project, it is “like watering a plant”. This is a project that we must continue to work on. We must keep attracting new visitors from any sector of society, promote the importance of learning another language, value other cultures, be empathetic and promote living in peace with all those with whom we share the world. Francesca Du Brock and everyone involved in the Donceles bookstore have had great support and acceptance, not only from the general public but from other people that have played a key role in this project, such as the Anchorage Community Development Authority that manages the transit center of Anchorage and facilitated the space and operation of the Donceles bookstore. At the same time, other entities such as the Anchorage Museum at Rasmuson Center, the bilingual newspaper Sol de Medianoche, UNAM Seattle and Out North Contemporary Art House among others have been an extremely important platform of support and dissemination of the project. Helguera told us that the Library has reached communities at key moments. One of the historical coincidences occurred in Tucson, Arizona in 2014 when the Board of Education decided that some books were “anti-american”. Then, the schools were pressured to remove from their libraries books like The House in Mango Street by the Chicano writer Sandra Cisneros. Upon arrival in Arizona, some of the books on “the blacklist” were available at the Librería Donceles. 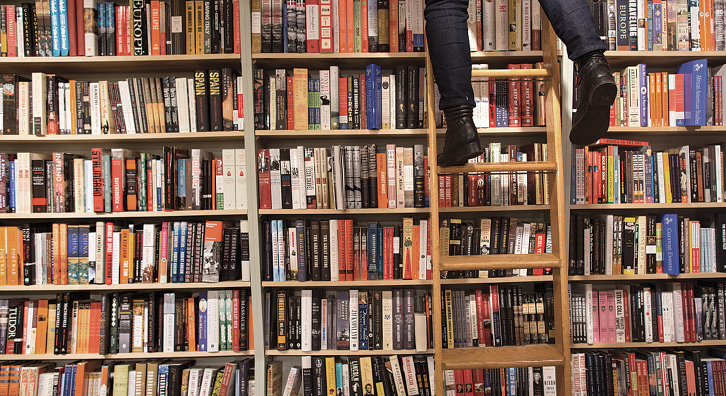 Visitors to the Library can keep the book they have discovered by giving a voluntary donation. By doing this, the book can accompany them for life. The funds generated will be donated to a local nonprofit organization. These books were donated mainly by people in Mexico, who as an act of solidarity, sent them to the United States. Pablo believes that sharing a culture is the best way to erase divisions. It is through education that a community is known, and it shows how fascinating it is to experience a different culture. 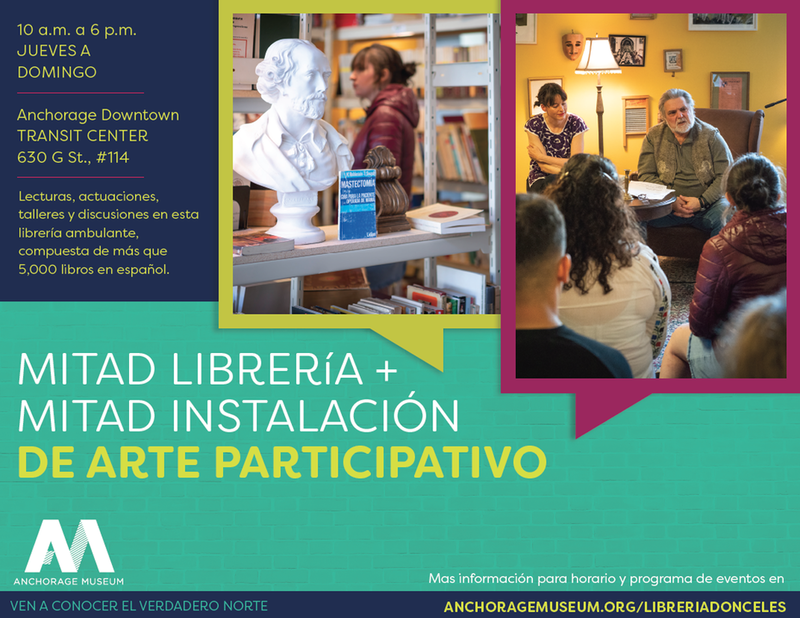 Librería Donceles is open Thursday through Sunday and is located at the Anchorage Downtown Transit Center (630 G St., Suite 114), admission is free. For more information you can contact the Museum 907-929-9228.